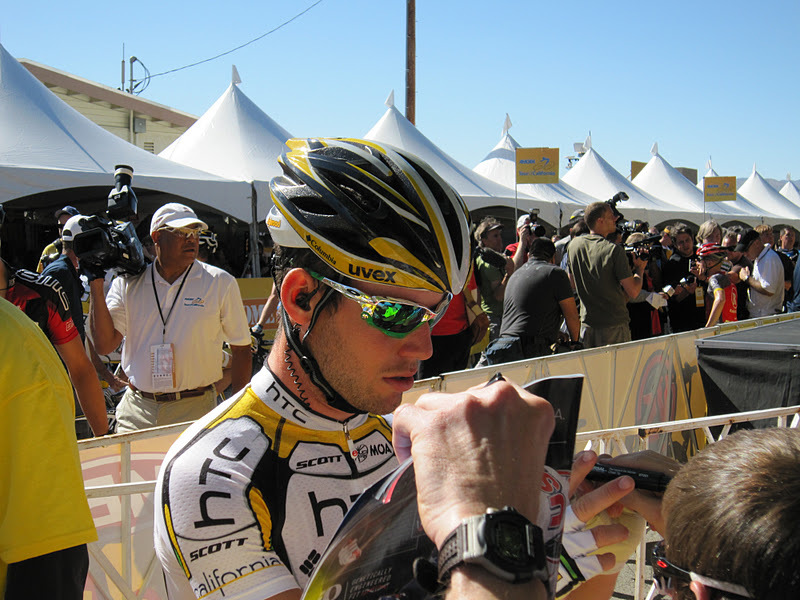 The train has left the station. The team that changed the way we watch a sprint finish has come to an end. 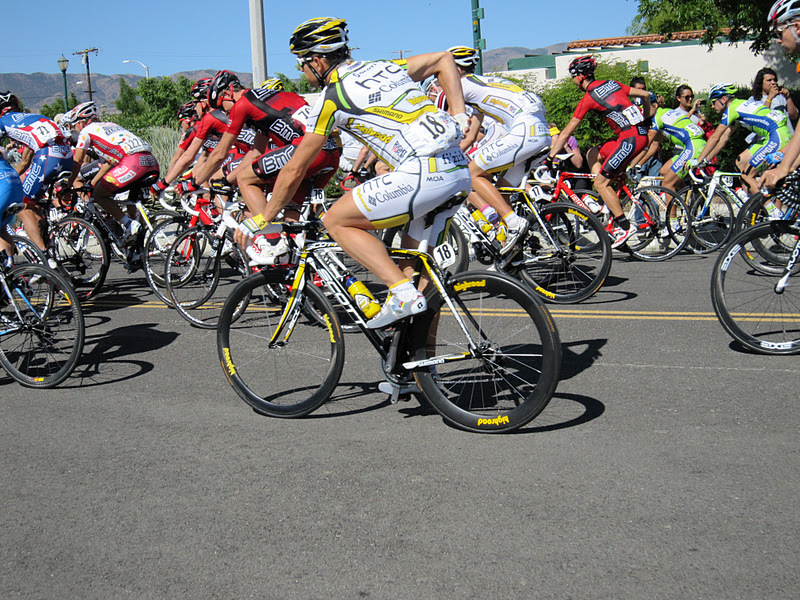 We learned to focus on the powerful yellow and white train forming in the center of the field. 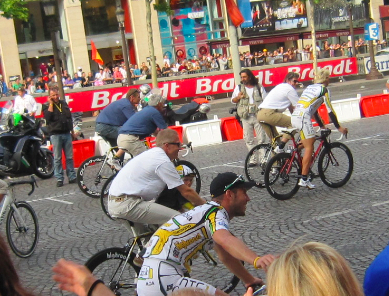 We watched waiting for the condensed form of Mark Cavendish to be hurled toward the finish line, unleashing his final sprint. 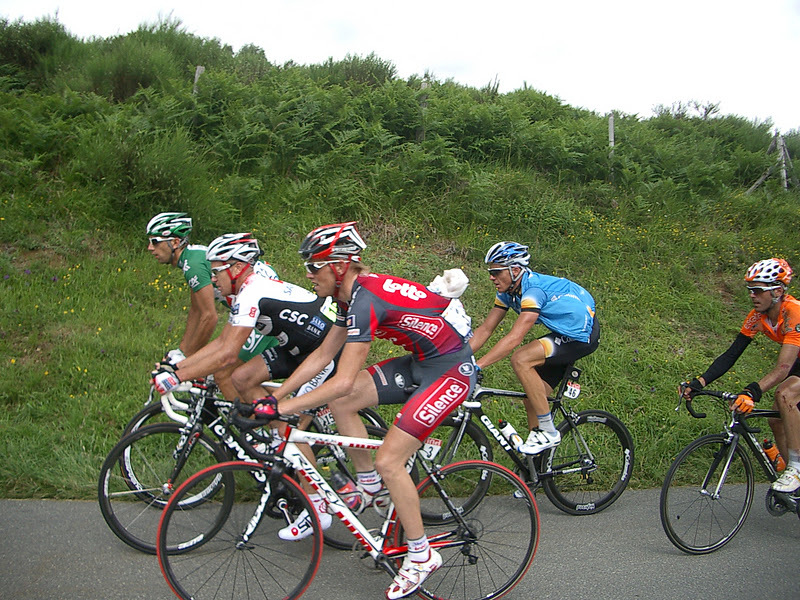 Win after win was the result of a finely trained team of riders surrounding the repeated winner. 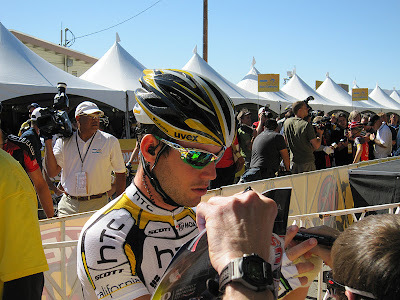 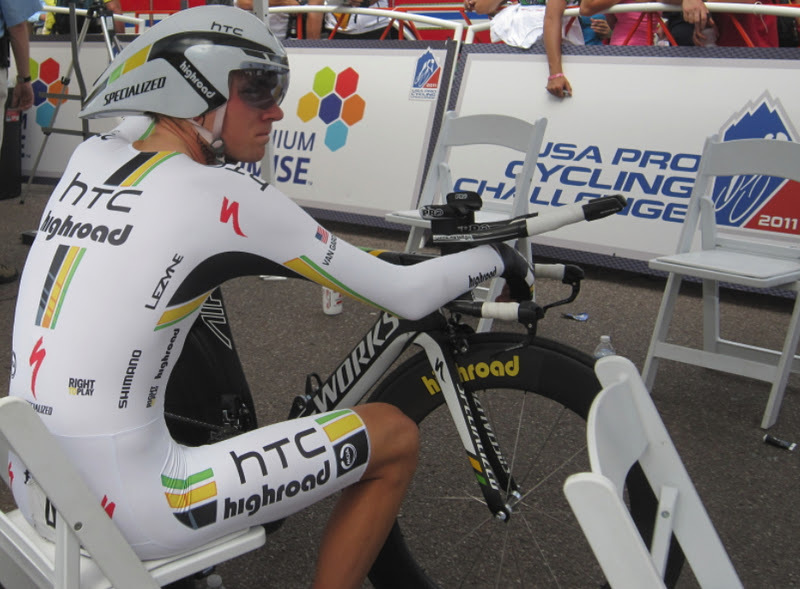 The orchestrated pattern of HTC Highroad became one of the predictable truths in the sport of cycling in recent years. They never disappointed. Now they are gone. 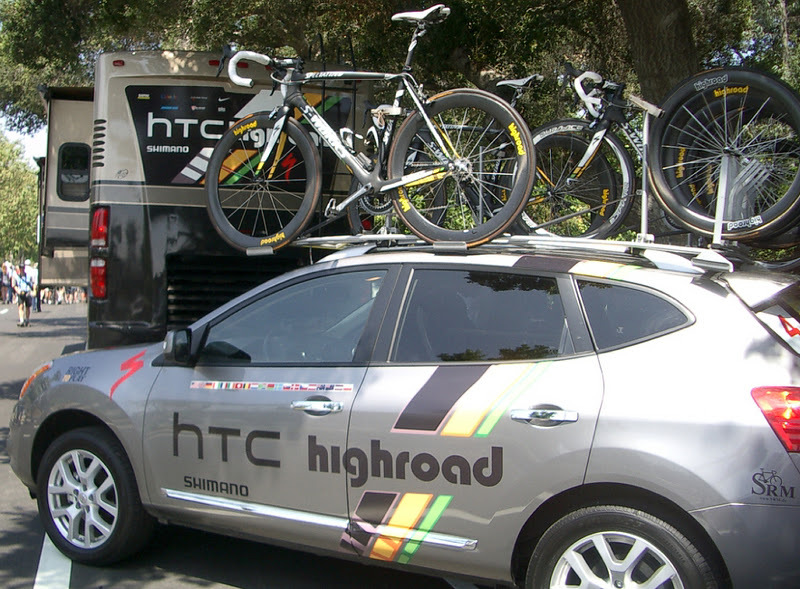 Regrouped into other teams around the world, the talented riders that made up HTC Highroad have disbanded due to lack of sponsorship. Click the image below to study the faces of these men who entertained and thrilled us with their hard work and dedication to each other and to the sport of cycling. 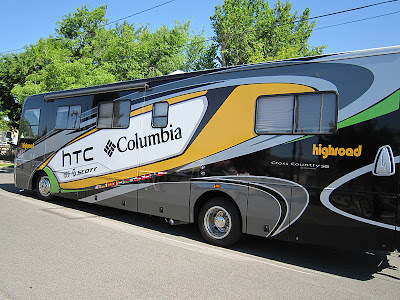 HTC Highroad was a team that set high standards of excellence. 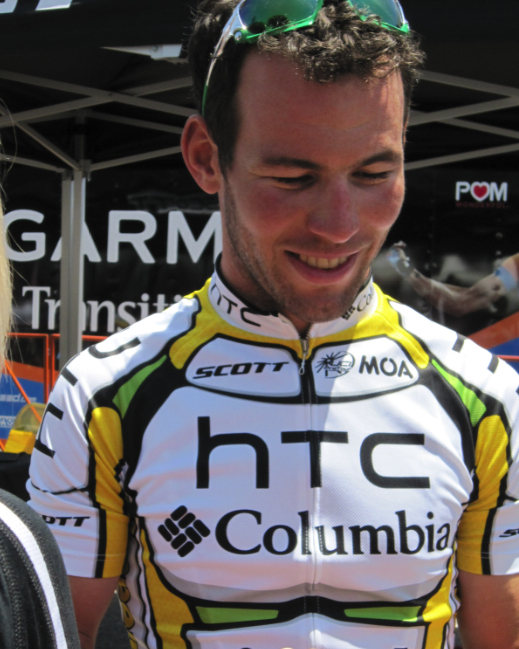 The mens and womens teams combined for an impressive 513 wins from 2008-2011. 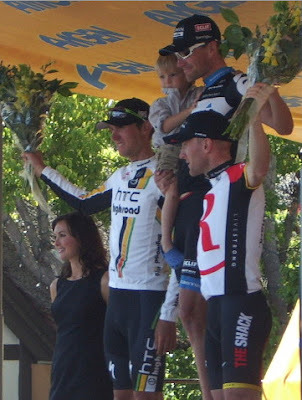 The old Highroad team included: - the winning HTC Highroad team of the 2011 Tour de France (L-R): Allan Peiper, Bob Stapleton, Brian Holm, Mark Renshaw (AUS), Peter Velits (SVK), Mark Cavendish (BRG), Matt Goss (AUS), Danny Pate (USA), Tony Martin (GER), Tejay Van Garderen (USA), Lars Bak (DEN), Bernhard Eisel (AUT), Valerio Piva, Rolf Aldag. What about the former staff of HTC Highroad? 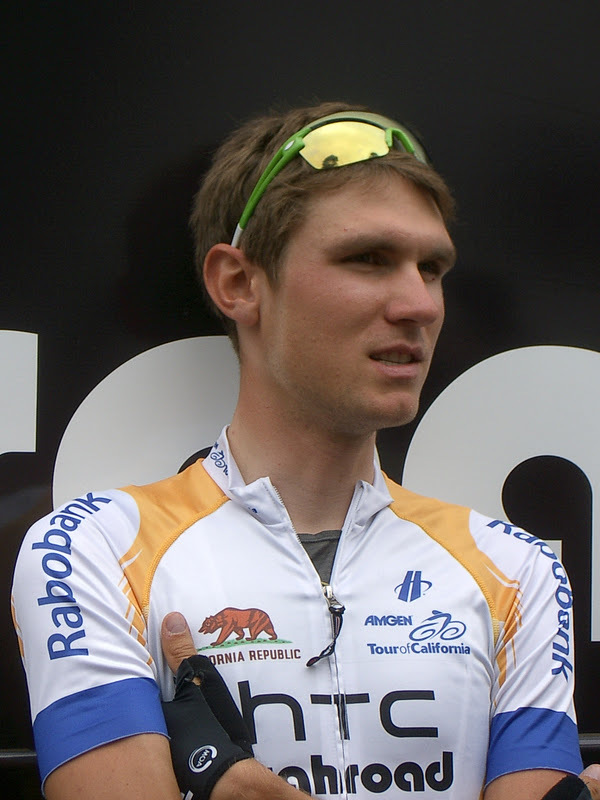 It has been announced that Erik Zabel is moving to Katusha and will be working with sprinter Oscar Freire (Rabobank). Valerio Piva will also be joining Katusha as a Directeur Sportif. 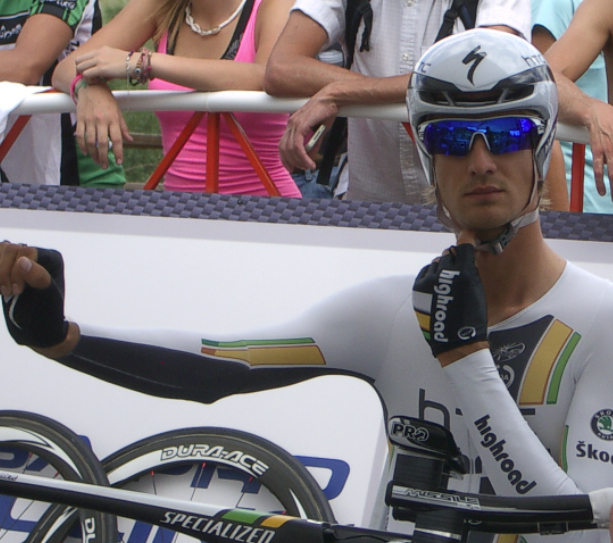 Allan Peiper has accepted a job with the Garmin-Cervelo team for 2012. 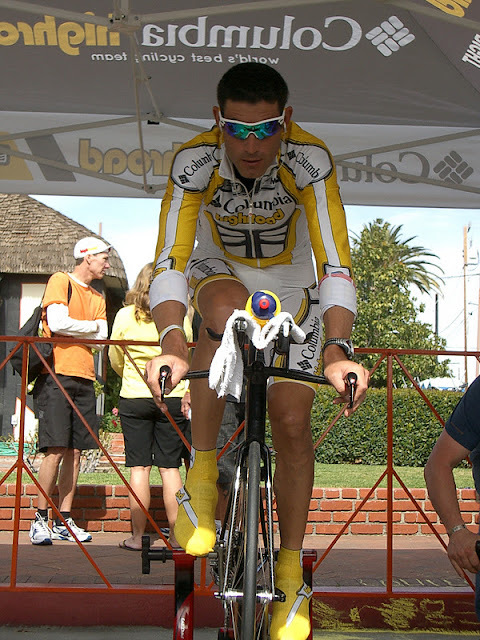 Rolf Aldag is moving to the World Triathlon Corporation along with the former general manager of the Tour of California Andrew Messick. Brian Holm will be working with the Quickstep team. Bob Stapleton will remain an entrepreneur, and the women's team will not be disbanding. 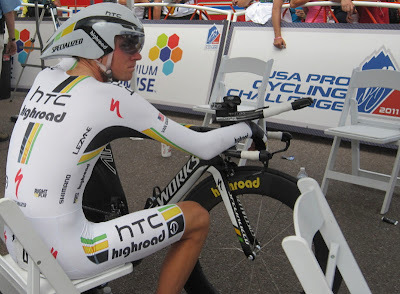 The former HTC Highroad riders have been reabsorbed into other ProTeams, read: Where have all the Pro Riders gone for a list of the new team rosters forming for 2012. Mark Cavendish, Bernhard Eisel, and Danny Pate will be going to Team Sky. Marco Pinoti and Tejay van Garderen to BMC. 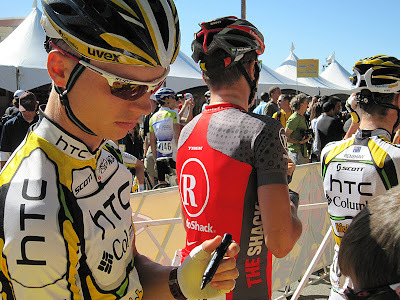 Alex Rasmussen to Garmin-Cervelo. 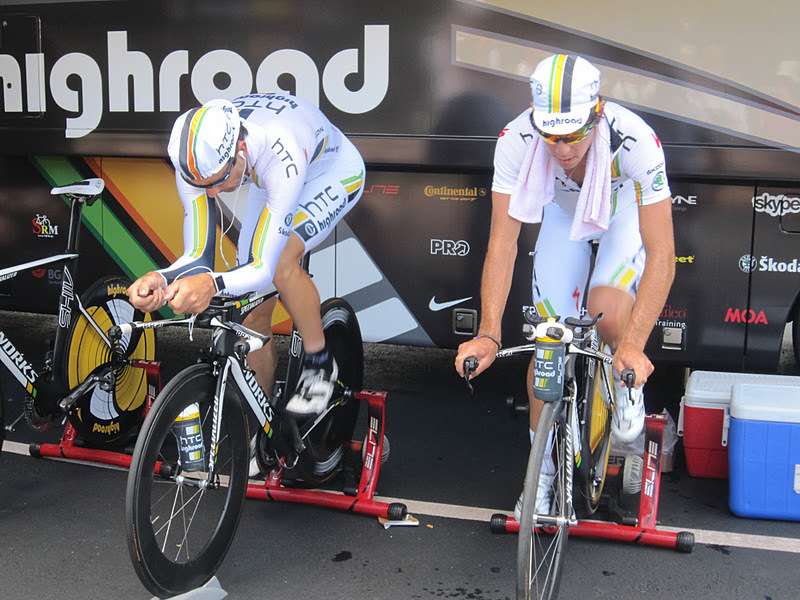 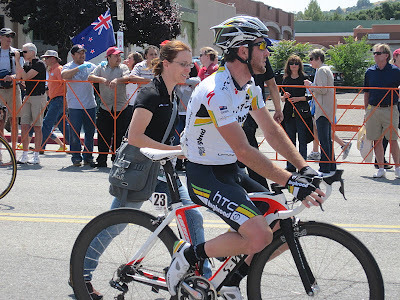 Michael Albasini, Matthew Goss, and Leigh Howard to GreenEDGE. 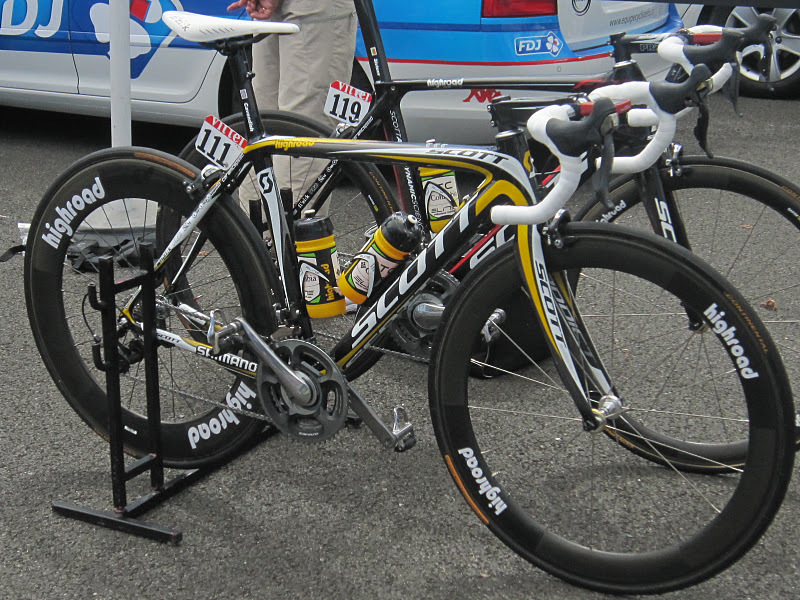 Lars Bak to Lotto-Ridley. 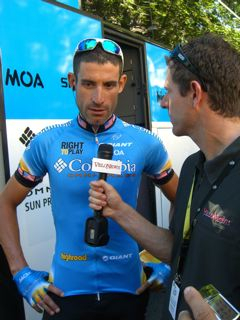 Peter Velits, Martin Velits, Tony Martin, Matthew Brammeier, and Bert Grabsch to Omega Pharma-Quickstep. 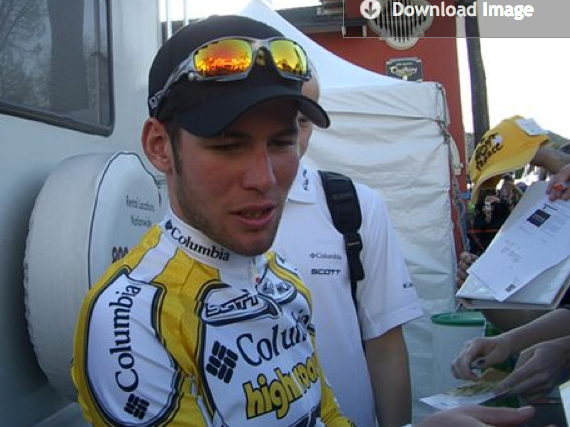 Mark Renshaw to Rabobank. 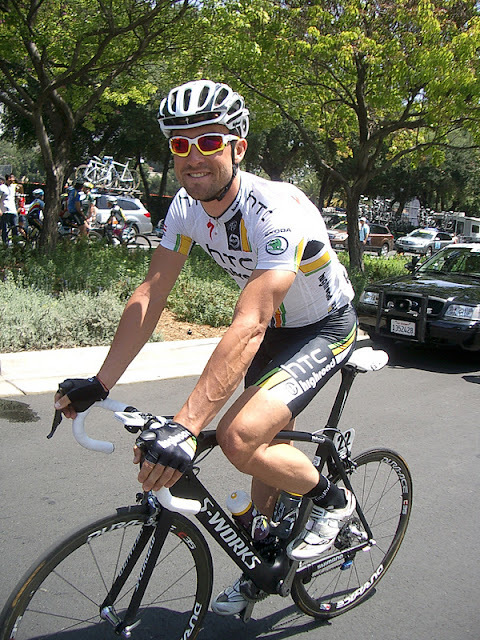 Patrick Gretsch to Project 1t4i. 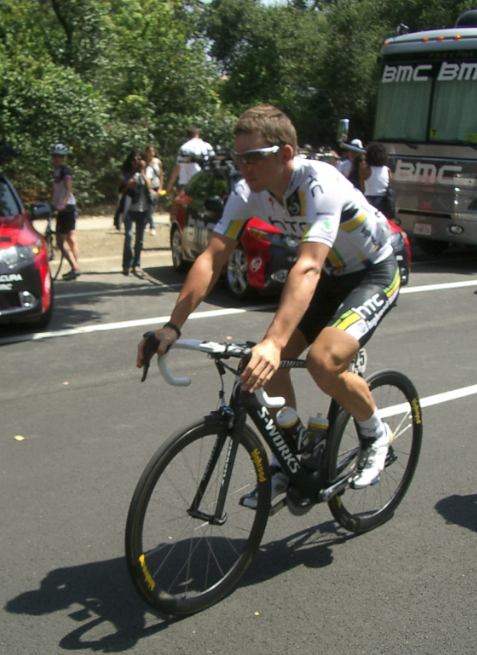 Hayden Roulston to Radioshack-Nissan-Trek. I will miss cheering for team HTC Highroad, they were definitely one of my favorite teams. I even hung in there as a fan through their six-pack cycling jersey phase. 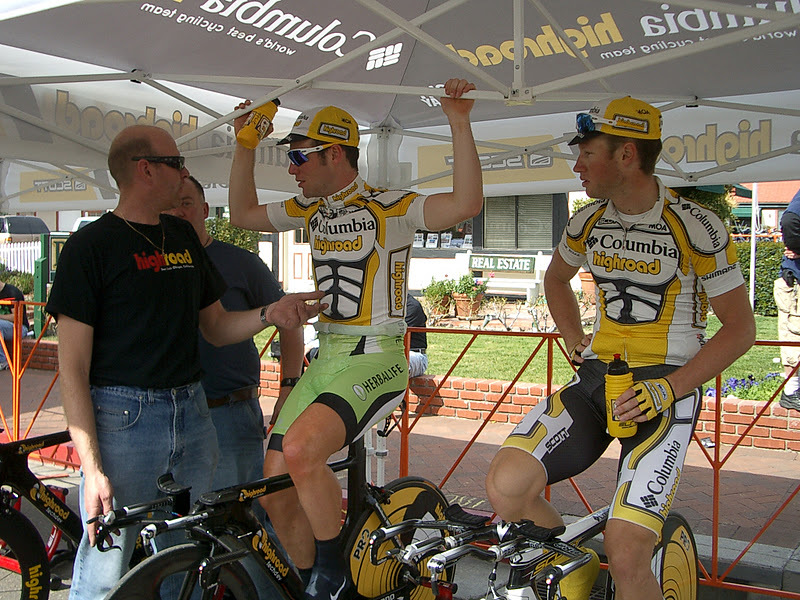 Farewell to a great team. 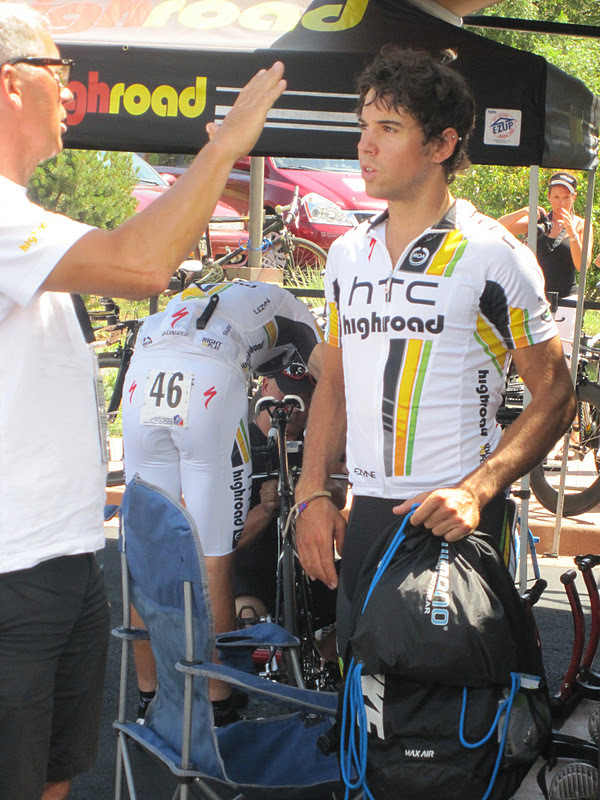 It is time to share pictures taken by PedalDancer.com of team HTC Highroad through the years, 2008-2011. 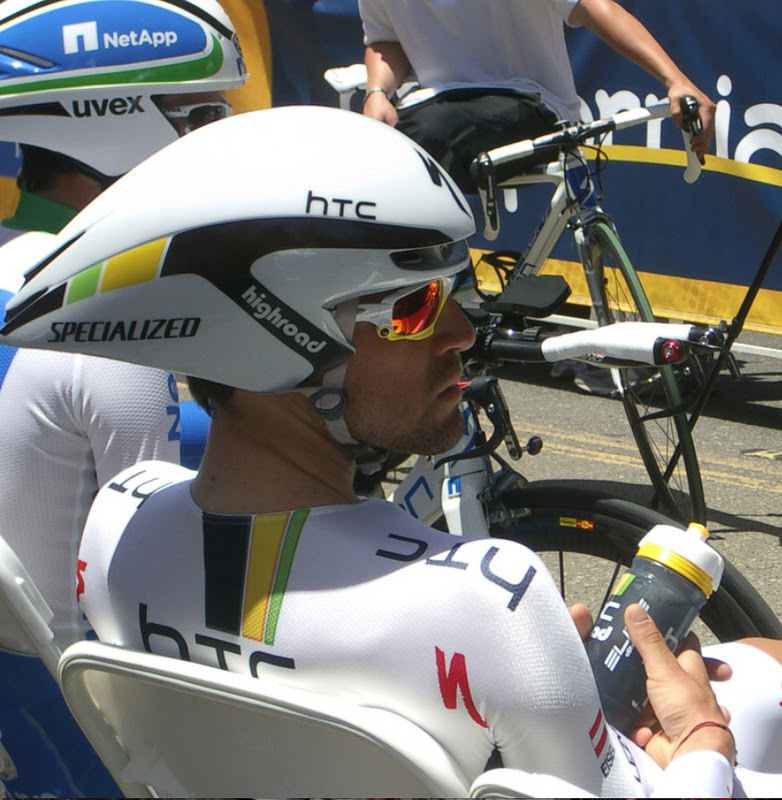 It has been a pleasure to watch them race all over the world. 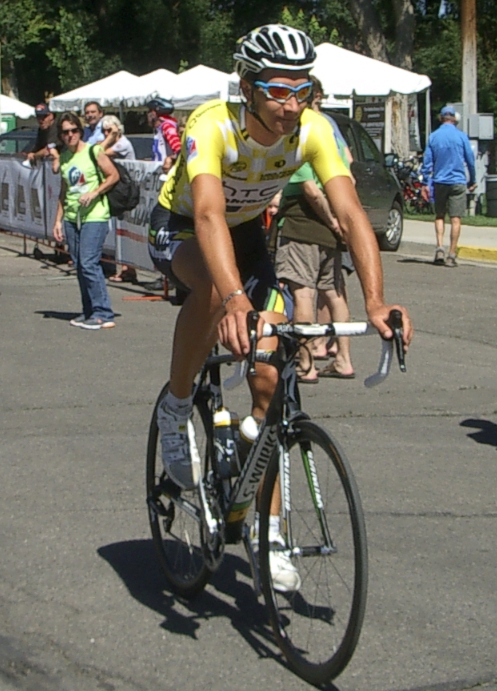 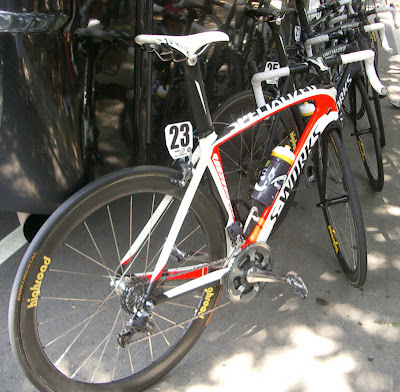 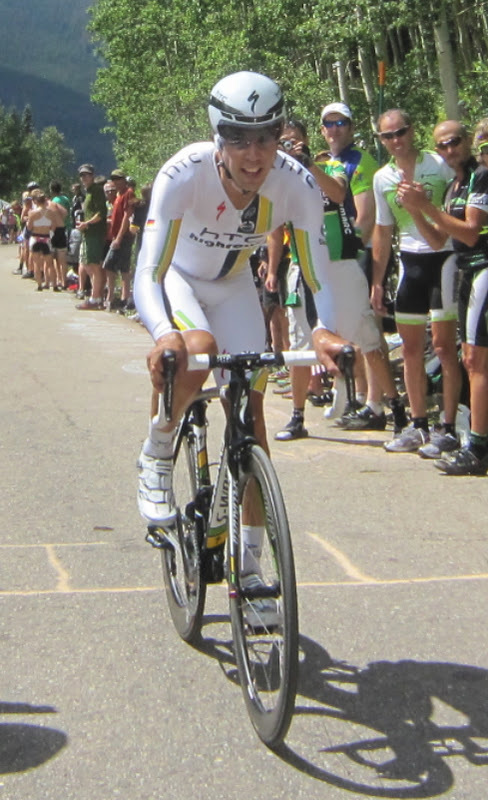 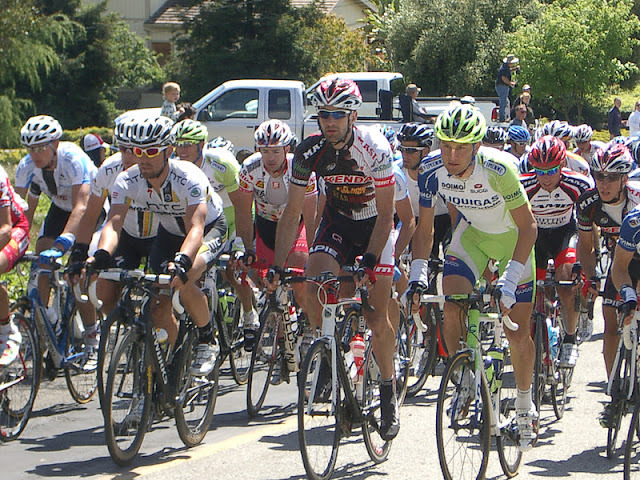 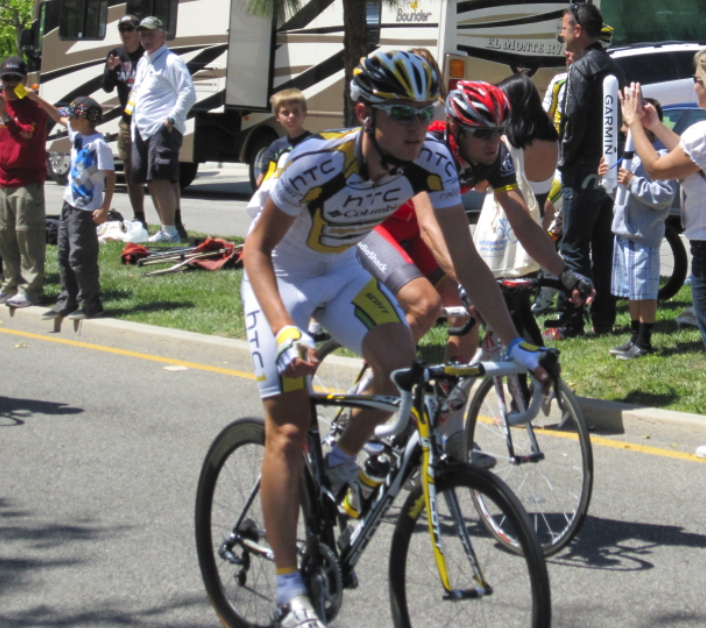 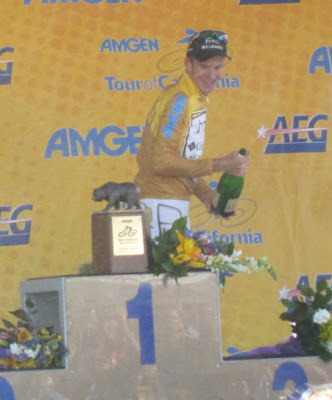 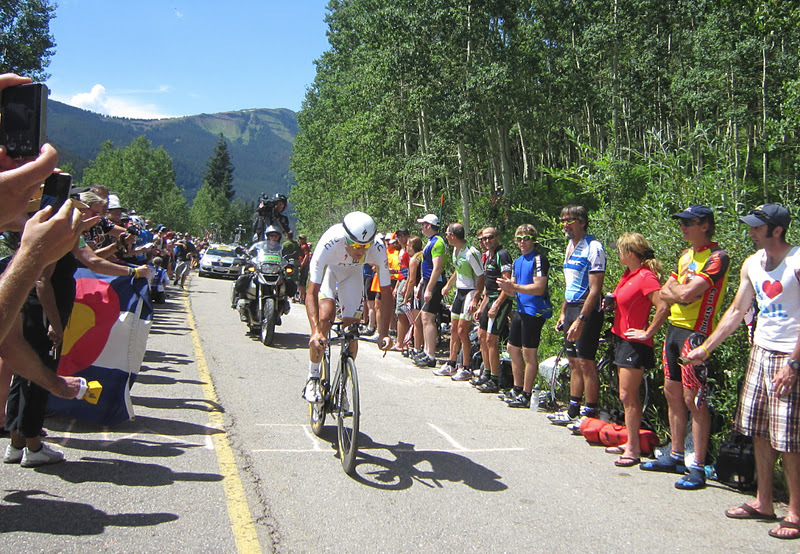 Tejay Van Garderen wearing the white jersey at the 2011 ATOC. 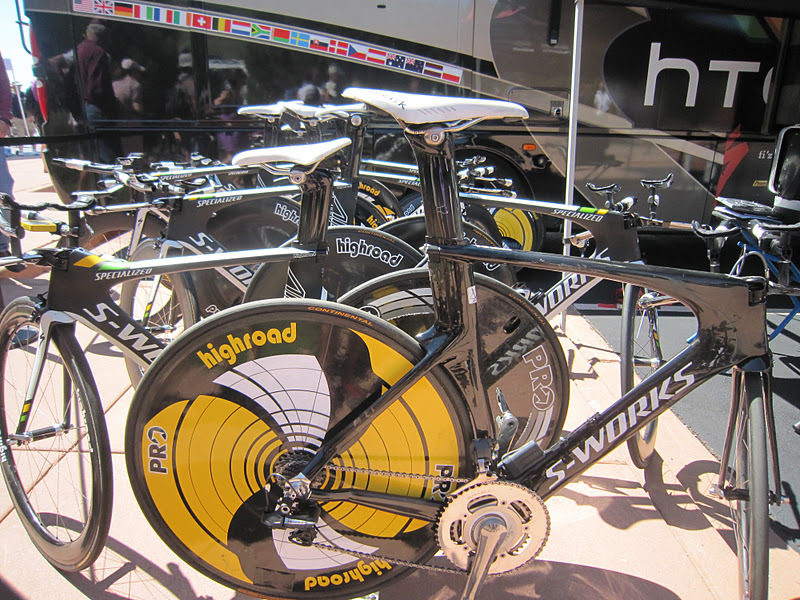 What about all that team equipment? 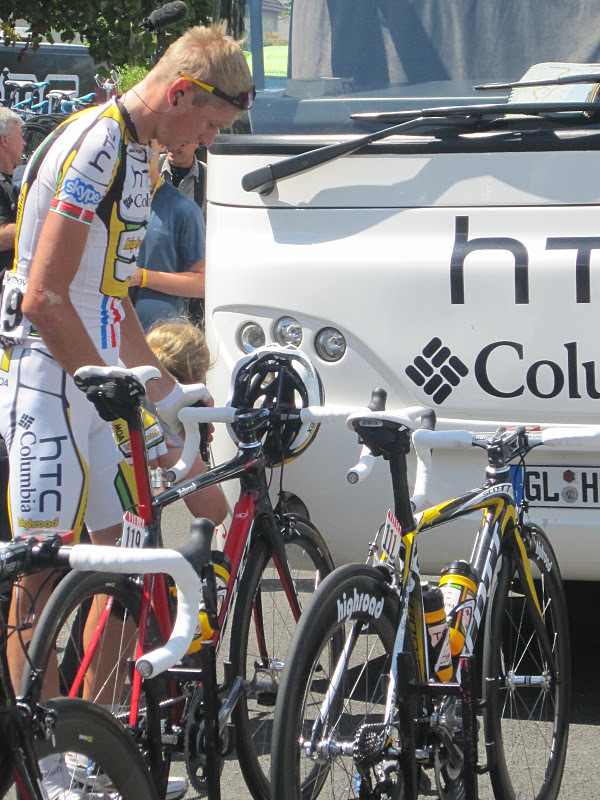 What do they do with the old team bikes and teams cars once a team folds? 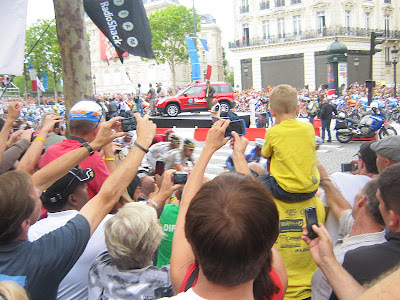 I've seen the old frames pop up in the oddest places, but those cars - I want a car! 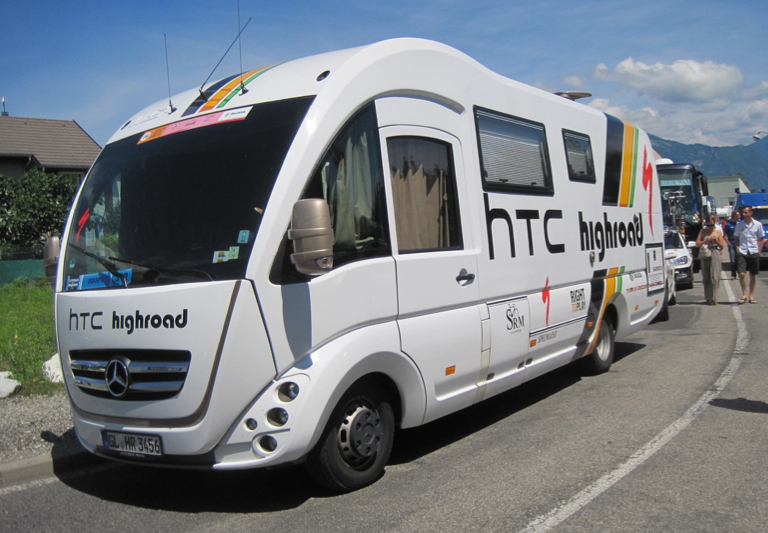 Related reading: HTC High Road, the team to launch Mark Cavendish, sign off in style at Chrono des Nations by Brendan Gallagher at The Telegraph. Stapleton hails winning performance in final races for HTC Highroad by VeloNation. 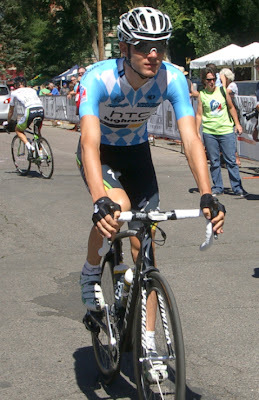 A team video from 2011 worth watching: Talk about personality HTC-High Road Men's Team Bio. 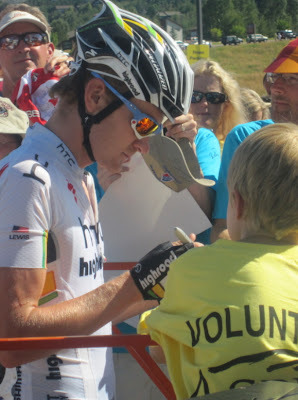 Thanks to a great team from a grateful fan. 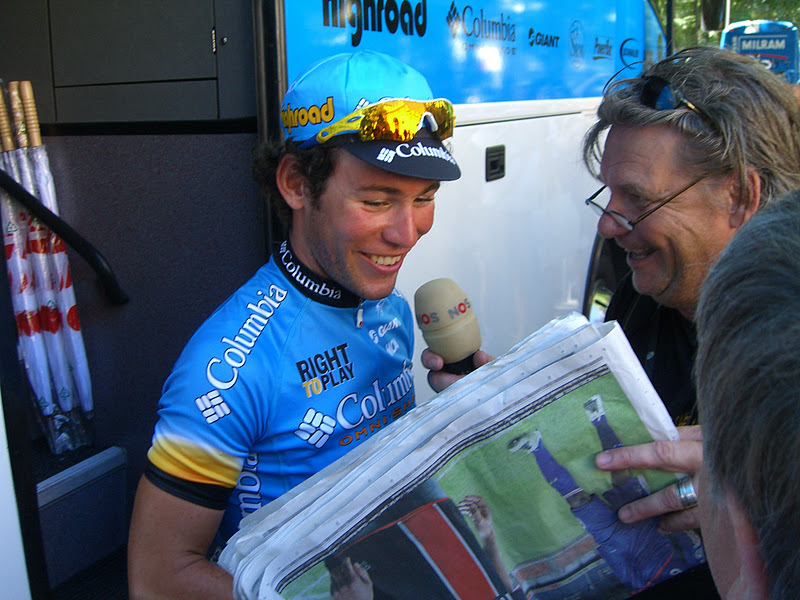 It has been great fun following you around the world for many years!